Probably the best way to determine whether you possess an ideal weight or not is by looking up a Health and Weight Chart as well as calculating your BMI (Body Mass Index). Now, the concept of Body Mass Index emerges from the fact that how much your ideal weight should not only depend on your height but also on the weight of your bones, muscles and fat present in your body. That is the reason the most effective way to determine how healthily fat or thin you are can be clearly calculated through a Body Mass Index Calculator. So here, we have given you a Height and Weight Chart which shows the Normal, Overweight and Obese levels of your weight according to your height. You can consult this for tentative assessment of your health depending on your existing weight. To calculate the Body Mass Index for an adult with a height of 200 cm and a weight of 75 kg, we first need to convert the height into meters. As there is 100 cm in a meter, we divide our figure by 100, which gives us 2m. This gives our Body Mass Index as 18.75. Want to know more about ways to maintain ideal weight and good health? Consult our Truweight Nutritionist today for help. Book your first consultation for FREE here. We have a whole range of healthy products and tips for you so you remain healthy in the long term for we provide no shortcuts. See you at Truweight! How do I Find Out If I Have Ideal Weight? Now the BMI formula we have demonstrated above has been done for a reason. 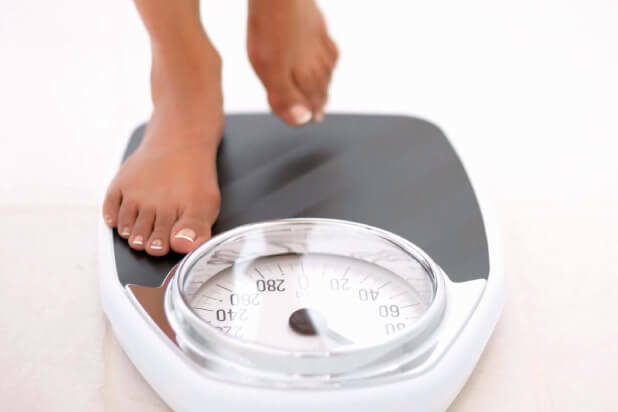 If calculated properly, it can clearly indicate whether you have an ideal weight or not. For people who possess a Body Mass Index of higher than 24.9 means that they are overweight. If you are worried about your health and feel threatened by your calculated Body Mass Index, you may consider visiting your doctor for advice on your health and general well being. You may also consider starting on healthy diets , simple home remedies for weight loss  and some form of exercise  to reduce that weight and qualify on the ideal weight range. If you have a Body Mass Index of 35 or above, you may not like hearing it but the truth is that you may be suffering from obesity. At this stage, your physician may refer you to undergo Bariatric Surgery  to reach your ideal weight. Bariatric surgeries such as Gastric Sleeve, Gastric Bypass, and LAP-BAND®, are all intended to address the cause of excess fat, rather than simply removing fat. This surgery can achieve long-term weight loss and is the best option for patients with a BMI of 30 or above. Now whether you go for bariatric surgery or not, for maintenance of ideal weight, you will have to maintain a healthy lifestyle including exercise and a balanced diet. Following this would ensure maintenance of your surgery failing which, the lost weight would come back into your system in no time.